We know that David 1(1124-1153) gifted the church at the Kirkton, then known as Wester Kinghorn in 1130 to the abbey and convent of Dunfermline. The actual documentation for this gift has been, the gift was confirmed by bishop Arnold of St. Andrews in 1160 during the reign of Malcolm IV (1153-1165). Further confirmations are documented by bishop Richard in 1172 and bishop Hugh in 1178. The lands of Wester Kinghorn again crop-up in a document of Papal Protection from Pope Lucius III dated 29th April 1182 in which he is offering 'protection to the monastery and convent of Dunfermline and ‘its possessions' which include the "villa "of Wester Kinghorn; this probably refers to what is now known as Rossend castle and in earlier times was referred to as the Tower of Wester Kinghorn. This was long in the possession of the monks of Dunfermline Abbey. 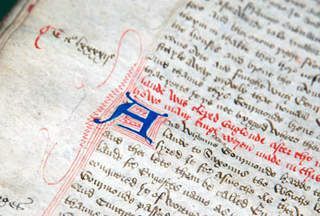 In another document of Papal Protection dated 11th October 1184, Pope Lucius III writes to Archibald, Abbott of Dunfermline, offering protection to the Abbey and Convent of Dunfermline its possessions including ‘all of Wester Kinghorn'. Further confirmation is documented on 21st May 1236, Prior Henry and the Convent of St. Andrews "have proffered consent and grant confirmation which bishop William of St. Andrews made concerning churches, possessions and all ecclesiastical benefices', this included all of Wester Kinghorn.
" David, bishop of st Andrews, for Dunfermline Abbey; gives churches of Wool met (MLO) and 'Parva' [Wester] Kinghorn (FIF), when vacant, monks may convert fruits of churches for their own uses, they may present vicar to church of Woolmet when vacant. Because profits of church of Piarva Kinghorn are small, he wishes that they may make church served by suitable and honest chaplains. " the parva mentioned refers to the smaller of the two Kinghorns ie Wester. Bishop de Bernham notes how small the income from the parish of Wester Kinghorn is. When the church and lands were gifted both Vicarage and parsonage fruits were annexed to the Abbey of Dunfermline. This meant that all money generated from the land and gifted to the church (to house the parson and to pay a stipend were diverted to Dunfermline. This was still the case up to the Reformation in the 1560s when both Vicarage and parsonage were set at £12. It was therefore up to the monks of Dunfermline to supply a suitable person to look after the spiritual needs of the parish. Bishop de Bernham set out in 1243 to take stock of the property and benefices owned by St. Andrews Abbey and to rededicate many of the churches. The Pontificate Ecclesiae Sancti Andreae state that Kinghorn Wester was re-dedicated on the 19th May 1243 and that this dedication was to St Servanus (St. Serf) c500-d583 St. Serf was very much associated with the Fife area with major centres at Culross, Loch Leven (St Serfs Inch) and at Dysart. Kinghorn, Kirkcaldyn, Nithbren (Largo) and Fotheroffe. Free Warren was a privelege granted by English Sovereigns to individuals or to institutions such as the Abbey at Dunfermline, to allow them to catch certain species of animals for their own use. The lands in Kinghorn were the Cunyngairlands and the Grasslandis. Cunyngar is the Scots word for a rabbit warren. These lands are now where the town of Burntisland stands. 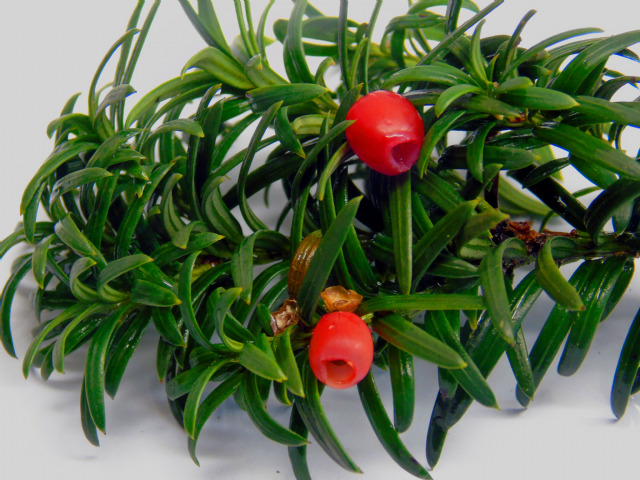 W.J.M. Liddall in The Place Names Of Fife (1896) notes that Cunyngairland is commonly known as "Brint-Eland". This privilege whether previously enjoyed by the monks or not would have been a welcome addition to such a poor parish. By the early 1500s the poor parish was starting to flourish. The original harbour at what is now Burntisland lay under Rossend Castle (The Tower of Kinghorn Wester), it was an important harbour on the Firth of Forth being navigable at all states of the tide, this was recognised from Roman times. King James IV and his brother James V both recognised the advantages that the port offered and both were frequent visitors to the town. The town in those days was mainly congregated around the harbour area and on to what is now Forth Place it was a Burgh of Regality controlled by the Abbey of Dunfermline. With the expansion of harbour facilities by James V the population of the town grew. It could not have escaped the kings notice how poorly the spiritual needs of the population were being served. 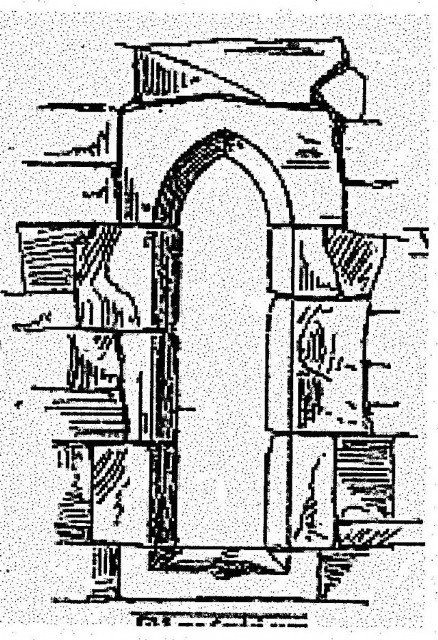 There are indications that a south aisle had been added to the church at an early date, this may have been an attempt to accommodate a growing congregation. James V had negotiated with the Abbots of Dunfermline for the harbour and surrounding lands and given them other lands in exchange, this did not include what was called Wester Kinghorn, the King issued a charter dated 25th June 1541, to create a Royal Burgh. One of the conditions of the charter was that "the Provost and Bailies ‘shall erect a suitable church (honestan templum) and support six chaplains in the Collegiate Church’. This charter however was never submitted to Parliament. The following year another charter was granted dated 19th July 1542, that the lands nearest to the harbour must belong to the port;" therefore the King directs that the Monastery shall resign the lands of Wester Kinghorn in excambation for an annual rent from the lands of Buckhaven. The king died in 1542 and the Abbots of Dunfermline disputed the Burgh's status and it reverted to being a Burgh of Regality. It was not until 1568 that Royal Burgh status was recognised, even after this, disputes with the occupiers of the castle continued. In 1542 presumably after the death of the King, George Durie, then abbot of Dunfermline, granted the lands of Burntisland (the same lands agreed with the King) to his kinsman Peter Durie. 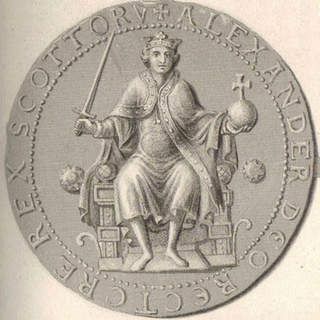 Scotland was thrown into confusion after the death of James and the crowning of the infant Mary. War with England and internal religious disputes ravaged the country. In 1560 Parliament proclaimed the Scots Confession of Faith, this abolished the Popes authority in Scotland and forbade the celebration of Mass, included in this were measures for reforming the church in Scotland and for the election of elders and ministers. The obligations given to James V in the Charter of 1541 and finally recognised by Parliament in 1568 required the Town Council to provide a new church for the town. With the expansion of the Burgh and the concentration of the population centred on the town and away from the land. The towns people had to walk over the Back-Causeway and which in the 16th century would be a fairly narrow rutted track. As the name suggests the track was a crossing point over the tidal flow which came up past what is now a swing park and into the modern-day housing estate. This route would have to be travelled at least once a week and in many cases more than once a day in all weathers and at all states of the tide. Even after reaching the Kirkton church it must have been a very crowded scene. The Town Council made an application to the Convention of Royal Burghs held at St Andrews in 1589, for assistance in building a new church. Another application was made at Kirkcaldy in 1592 and at Dysart the following year. The applications concerned the levying of dues on the timber, which was the main import into the town at the time. At a Convention held in Burntisland in 1597, Burntisland was granted 300 merks toward the new church. This was levied on each Burgh to pay their appropriate portion. It is uncertain exactly when the church ceased to serve the spiritual needs of the landword population of Burntisland; burials continued well into the 20th century. Looking at the evidence it must have been sometime during the Roundhead army’s occupation of the town in the 1650s. Burntisland suffered extreme deprivation during this period with many people leaving the town and those left being burdened with housing and feeding the invaders. It can well be imagined the already struggling church falling into disrepair, being used to house the soldiers and their horses encamped in the surrounding fields. Even after the troops left in 1660 the town, like most others in Scotland, suffered many years of decline. We know that the Minister had removed his manse into the main town by 1657. 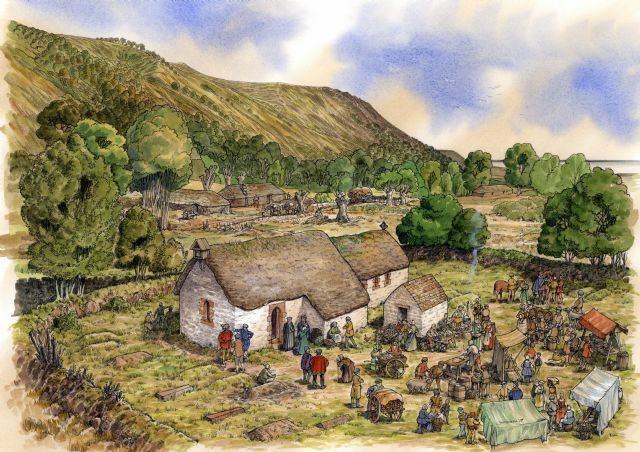 Little has been recorded or so far unearthed about the Kirkton church over the next two hundred years. It's position appears on Joan Blaeu's Atlas of Scotland published in Amsterdam in 1654, and is annotated as 'Old Kirk; whether it was still in use at this date it is not known. A map giving slightly better detail was that commissioned by the Crown after the Jacobite Rebellion and surveyed by William Roy between 1747-1755. This map schematically shows the church building set in its own graveyard and surrounded by trees. It also shows a slightly smaller walled garden to the north­west, again surrounded by trees. Between the two squares and in the area now occupied by Fairfax Court, is a square building which must be The Manse. Two Ordnance Survey maps of 1854 and 1896 again show a schematic representation of the church, the map of 1896 clearly shows a ruined building with partial walls of the nave and complete walls of the chancel. 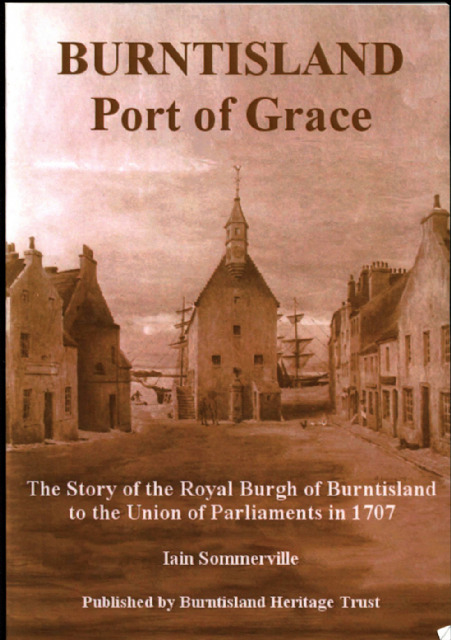 The story of the Royal Burgh of Burntisland to the Union of Parliaments in 1707. Available from Burntisland Heritage Trust. This historical reconstruction artwork was specially commissioned by Burntisland Heritage Trust. Copies can be purchased from the Trust. The Kirk saw both Cevenanters and Cromwell's troops during the 17th century. Alexander III, rested here on his final journey. The Lands of Wester Kinghorn were gifted to Dunfermline Abbey by David in the 12th century. The Kirkton Church belonged to the Abbots of Dunfermline wh also owned the Tower of Wester Kinghorn.